By Friday the 4th of September, POTRAZ the telecoms regulator will have adopted, with amendments, the proposal for Postal and Telecommunications (Infrastructure Sharing) Regulations. This document has been worked on intensively for the last few weeks by licensed operators as a culmination of the Infrastructure Sharing debate held on the 8th of December 2014. 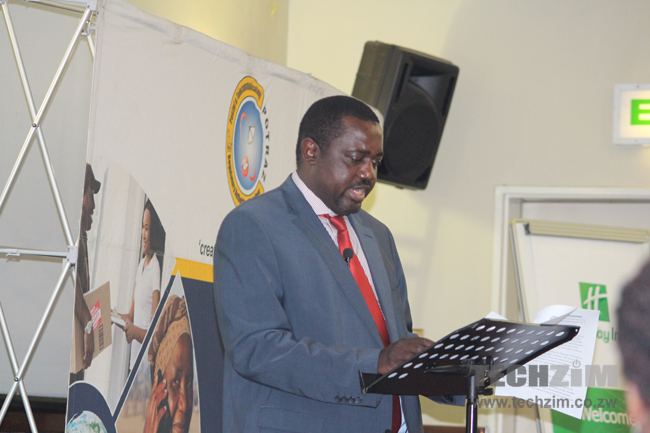 The final presentation of the draft policy and draft infrastructure sharing regulations took place on the 28th of August 2015 at the National Stakeholders Conference held in Harare. Input was invited from those present for inclusion in the final document. In the meantime, those who still need to make their contributions known can make their submissions directly to POTRAZ before the closing date. After the drafting process, the final recommendations will be handed over to the parent ICT Ministry which will in turn instruct the Attorney General’s Office to translate them into legal script before they are flown for a final period in the Government Gazette. These final documents are a result of input from the various operators and stakeholders with some subcommittees chaired by the operators themselves to deal with all aspects of the discussion, from the legal, regulatory, technical, business and other perspectives. In terms of how these regulations will be operationalized, (considering that we have the ICT Policy outstanding in Cabinet and the outdated ICT Act that needs a complete overhaul) the legal committee says that the regulations can be adopted as a statutory instrument which can become operational parallel to any work in progress. It is refreshing to note that the discussion has finally reached some form of conclusion although disappointing that Econet and Liquid Telecom have decided not to append their signatures to a process that they were part of all along, for reasons yet to be explained. Perhaps we can begin to see the positive effects of the exercise soon, especially in as far as it relates to the reduction in the cost of telecoms service provision. Also to note are the implications of this draft as a pioneering regulation in all other sectors of the economy where duplication of efforts has been noted including roads, transport, energy and commerce. We should see second layer policies in various other ministries especially where there are cross-reaching implications across ministries. There is no reason why roads construction should not carry fibre rollout as a partner project. That’s better news, part of the draft regulations say that if an operator identifies another operator’s tower which he wants to lease he can write to the operator and the operator has to respond within 14 days indicating if he can or cannot share the equipment and the reasons for the answer. if the operator intending to lease the tower is not satisfied with the answer he can approach potraz and potraz will conduct its own assessment , together with input from both operators and determine whether it is feasible to share the tower or infrastructure concerned. I think the road constructor picking up fiber installation is a smart idea. Being engineers, laying fiber (or pitching up towers) would not be too much of added scarce skills challenge.